Perry Auto Group: Why Are So Many Americans Buying A Jeep? ELIZABETH CITY, NC - Why are so many Americans buying a Jeep? How is it that back in the darkest days of the global financial crisis, Jeep could only muster a little over 200,000 annual vehicle sales in America and had little-to-no influence on the global market, but it's now becoming one of the fastest-growing automotive companies in the world? Currently, sales are expected to top out at 1.2 million– yes, MILLION– vehicles for 2015! That is outrageously good! Jeep just released its numbers for the month of June, and it is looking that the automaker is on track to meet its projections, and THEN some. Last month, Jeep enjoyed its best June sales in the 74-year history of the company, selling 71,529 vehicles in the United States! Leading the way for the brand was the Jeep Cherokee, Jeep Patriot and the Jeep Wrangler, which all had their best June sales month ever! The all-new Jeep Renegade (now in its third month of sales) had a 10 percent uptick from May, which is a sign that the smallest crossover in the company may be starting to catch on. 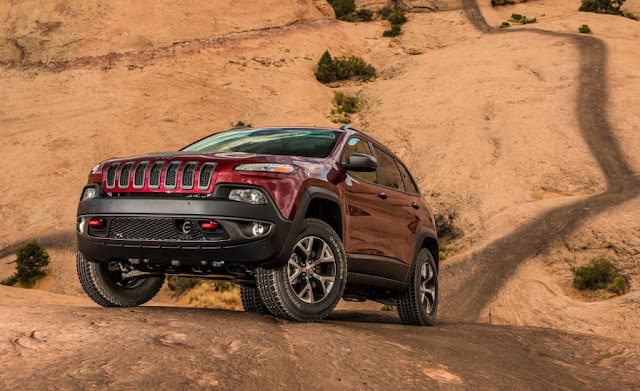 Jeep's successful June was the driving force behind Fiat Chrysler Automobiles' strongest June sales since 2006. So why are so many Americas buying a Jeep? There are potentially several reasons, but low gas prices are definitely one of the leading factors. The entire crossover and small SUV segments have been on the rise the entire year due to lower gas prices and the confidence of Americans that a crossover or small SUV has now become affordable. The Jeep brand OWNS these segments. Jeep has also rebranded itself, and has focused its marketing towards Millennials and Generation Z, thus creating a brand loyalty at a young age.